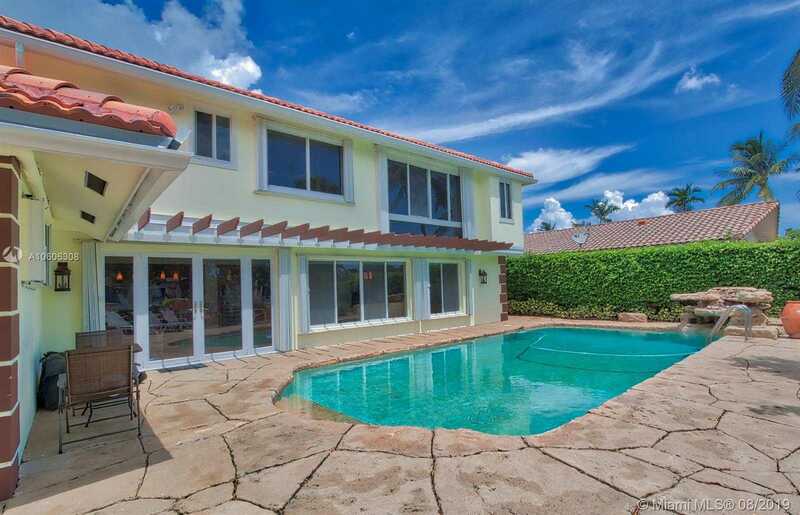 Magnificent 5 bed / 4 baths single family home located in upscale Coral Ridge area. House has an 84 feet dock with no fixed bridges and is located in a cul-de-sac street steps from Cardinal Gibbons HS and St. John Baptist Catholic Church. Property boosts a new roof with tricolor barrel tile (1.5 y/o), circular driveway with Chicago pavers, top of the line appliances, including Subzero fridge, Thermador wall oven/microwave, new Bosch cooktop and new Samsung washer/dryer. Recently polished marble and wood floors throughout the entire home. Custom kitchen was completely redone a few years back with solid wood cabinets and granite countertops. Owner recently spent $7000 in landscaping, installed new pool pump and upgraded the sprinkler system. Easy to show vacant in lockbox. PLEASE TEXT AGENT.